Optus, one of Australia’s largest Telcos, used the 2018 Commonwealth Games as an opportunity to give the Australian public its first chance to experience some of the features of its new 5G network. The idea was to showcase real-world applications of the low latency and high bandwidth that will be key features of 5G through live-streaming. 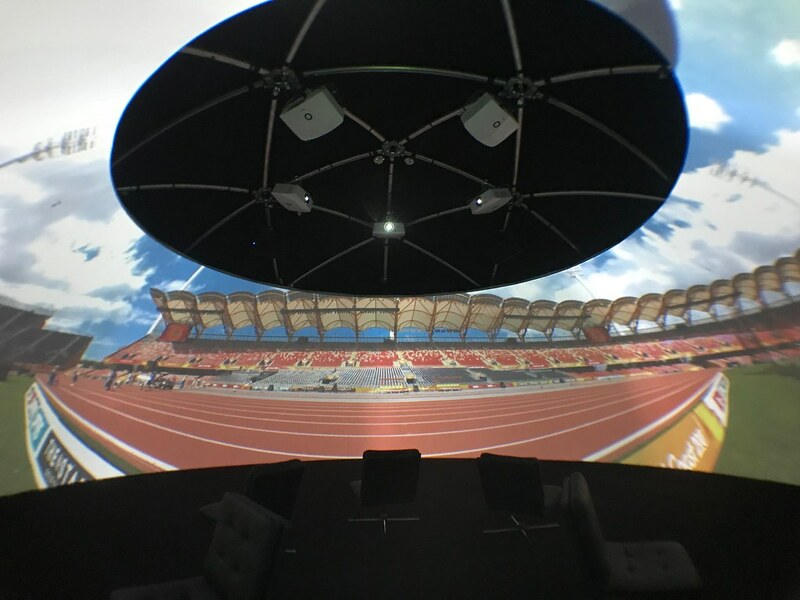 Igloo was enlisted to provide a Shared VR dome, and we worked with 360° content company Staples VR to site a camera on the bottom of the swimming pool in the Optus Aquatic Centre. Optus used a combination of fibre and 5G technology to transmit 360° coverage of the Commonwealth Games swimming events to the Igloo. The download speeds made possible by 5G enabled the live-streaming of 4k and 8k signals, and visitors were blown away watching the swimmers compete above and around them, from all angles in close-up detail.